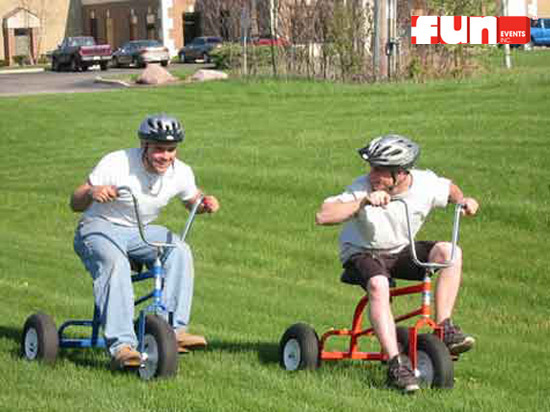 Giant Tricycles for grown-ups to ride, race and play! 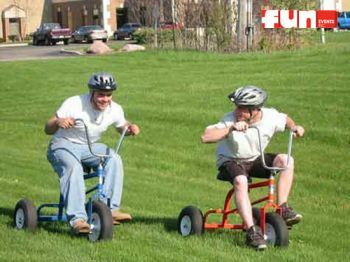 These "trikes" are perfect for teen and adult relay races. Get your team together and "pedal" your way to victory. 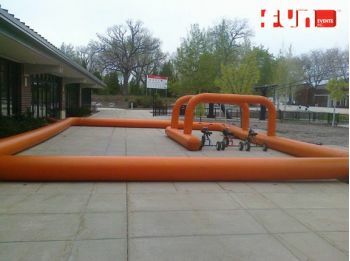 Includes Giant Inflatable Racetrack, three tricycles and safety riding helmets.